Jakarta. 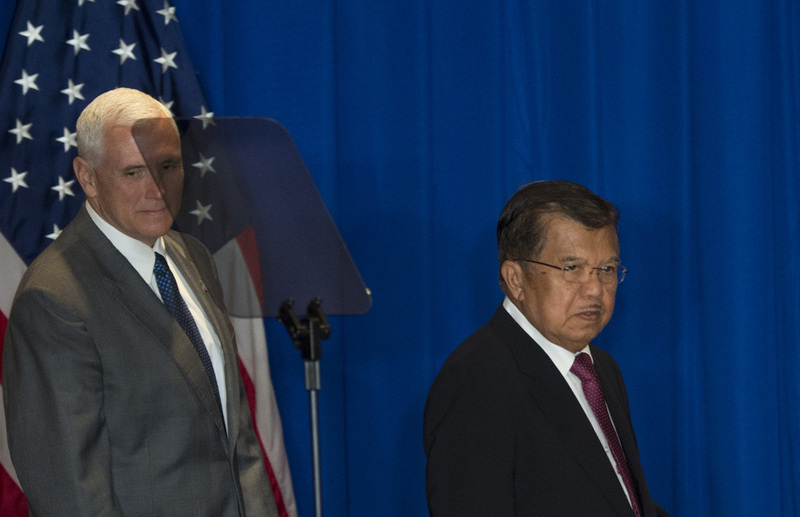 Indonesia will not back away from a potential trade war with the United States, should US President Donald Trump decide to carry out his plan to increase tariffs on some imported commodities, Vice President Jusuf Kalla said on Thursday (08/03). Trump announced last week that his administration plans to impose a 25 percent tariff on imported steel and a 10 percent tariff on imported aluminum, on the grounds that imports endanger American national security by harming domestic production. The plan unsettled even the United States' close allies, fearing a full-blown global trade war that could derail delicate global economic growth. "If Trump's trade war eventually escalates, it can drag agricultural countries in. If the US blocks our palm oil, we will block their soybean exports to Indonesia; we can be self-sufficient," Kalla said in a speech at the fourth Jakarta Food Security Summit. Eleven percent of Indonesia's total exports, or $17 billion, were destined for the United States last year. This makes it Indonesia's second-largest export destination. Southeast Asia's largest economy also enjoyed a $9.3 billion trade surplus with the United States last year. Indonesia's palm oil exports to the United States amounted to $939 million last year, which represents around 5 percent of its total exports of the tropical oil, Central Statistics Agency (BPS) data showed. According to the US Department of Commerce's International Trade Administration, the United States exported 2.6 million metric tons of soybean last year, worth $994 million. Only 1 percent of Indonesia's steel exports go to the United States, so Trump's proposed steel and aluminum import tariffs would not inflict a direct blow to local steel producers, said Hidayat Triseputro, executive director of the Indonesian Iron and Steel Association. But he warned of the possibility that Chinese steel exports destined for the US market may flood the Indonesian market. Indonesia is a member of a free trade arrangement between the Association of Southeast Asian Nations (Asean) and China that came into effect in 2010. The agreement resulted in Chinese exports to Indonesia spiking to $30.5 billion in 2014 from only $3.4 billion in 2004. According to World Steel Association data, China was the world's largest steel producer in 2017, at 831.7 million metric tons, while Indonesia produced only 4.8 million tons of the alloy. "The government should secure the domestic market with strict regulation and take sides with local products ... as it can make investors lose interest in the Indonesian market due to the policy being not affirmative to the domestic market," Hidayat told the Jakarta Globe.